When you think about the things you want in life, surely an artistic representation of yourself in gummy form isn’t on the list. 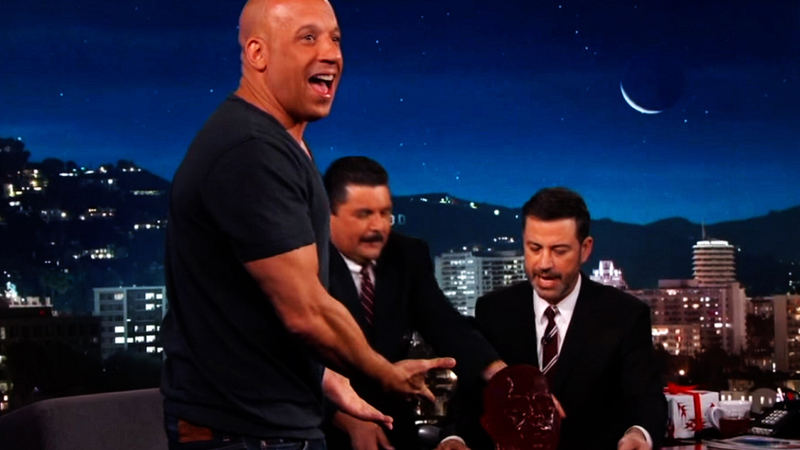 So, we can sympathize with the mix of shock and joy that Vin Diesel expressed after being gifted a gummy head. His gummy head, to be exact. 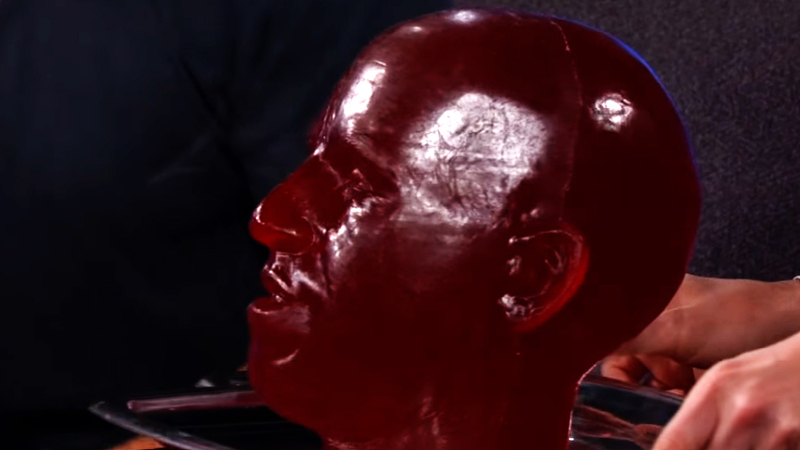 A red sugary blob that, strangely enough, looks exactly like Vin Diesel. The gummy was given to him during last night’s episode of Jimmy Kimmel Live. Kimmel himself admitted that the show “didn’t wrap it,” since — how could you, really? The inspiration, per Kimmel, was an attempt to outdo the many fan drawings of Diesel that exist in the world. Since he’s quite a beautiful man, we totally understand why he’s the chosen subject for many young artists. Kimmel definitely took things to the next level. Luckily, he knew his audience — Diesel was totally thrilled. "What the?" Diesel exclaimed when he saw the gummy, literally jumping out of his seat. "This is amazing!" Per Kimmel, it’s absolutely edible. Everything you’d find in your standard gummy bear, you’d find in your gummy Vin Diesel. In fact, he was so honored by the gift that he went ahead and gave it a little peck on skull. But, that’s not all. After Diesel admitted that his son would absolutely love the gummy head, Kimmel decided to make the gift just a bit more interesting. "I have a message for your son if he's watching backstage right now," Kimmel said. "I'll give you 500 bucks if you eat this whole thing." Personally, while that’s a ton of money, we don’t know if we could handle the challenge. In our eyes, a wonderful gift like that deserves to be in a trophy case of some sort!